This three days Sundarijal Chisapani Nagarkot Trek is the short and easy hiking trip around Kathmandu Valley in Shivapuri National Park. 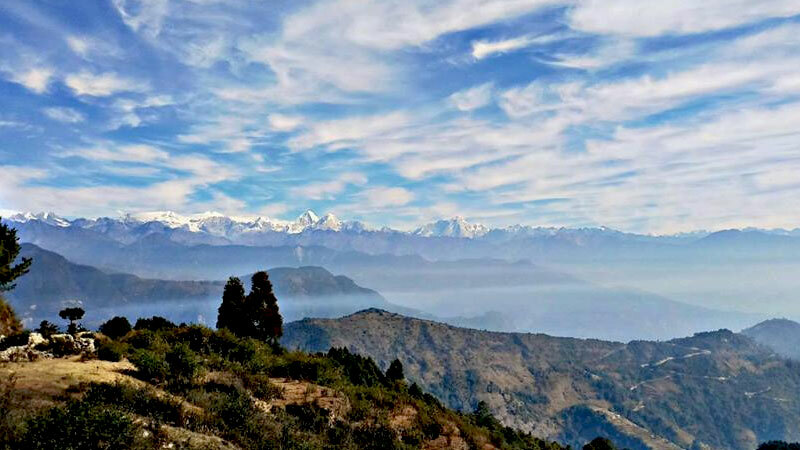 The trek offers the marvelous opportunity to observe the sunrise and sunset view from the towering hills of Chisapani and Nagarkot. Likewise, magnificent views of snow-capped white peaks including from the central Himalayas of Nepal like Mt. Manaslu to the eastern mountains like Langtang, Dorje Lakpa, Sisa Pagma, Choyu, Gauri Shankar and much more are yet another major attraction of this trip. Not only this but also the trail too offers to gain an experience of walking in the dense forest of Oaks, Pine, and Rhododendron that encounters the varieties of butterflies, birds, also some endangered animals like a jungle cat, sloth bear, leopard, monkeys etc. The Sundarijal Chisapani Nagarkot Trek begins from the place called Sundarijal which means beautiful water. As mentioned in the name, the place is too crafted with beautiful water streams and the main source of drinking water to the Kathmandu Valley. Sundarijal is just an hour and a half drive from Kathmandu. The place is too the gateway to the several others popular trekking route of Langtang and Helambu Regions. Prepare the backpacks and set on foot for another two days. As you gradually walk uphill, the wonderful view of Kathmandu Valley will be the first reward of this trek. The first overnight destination will be at Chisapani (cold water in English) at an altitude of 2,300 meters in general teahouse. Next day, enjoying the sunrise and mountain views the trail will reach the final destination of this trek, Nagarkot. Stay the second night in this fabulous hill then, drive back to Kathmandu. Day 01: Drive from Kathmandu to Sundarijal and Trek to Chisapani. Trail Attractions: Water streams. views of Kathmandu Valley, enter Shivapuri National Park, and Tamang Settlement. Max. Altitude: 2,300 m (Chisapani). Day 02: Trek to Nagarkot. Trail Attractions: Panoramic Langtang Range Mountain views. Day 03: Hike to Changunarayan Temple and drive back to Kathmandu. Trail Attractions: Visit World Heritage Site - Changunarayan Temple. Drop to your hotel. Sundarijal Chisapani Nagarkot Trek finished here! Kathmandu to Sundarijal by private car. An English Speaking Government Licence Holder Trekking Guide. One Porter for Two Hikers. Shivapuri National Park Entry Fees. Entrance Fees to Changunarayan Temple. Wants some modification on Sundarijal Chisapani Nagarkot Trek itinerary? contact us to customize it.